One of the easiest and most flavorful ways to spruce up a dish is by making a simple pan sauce. If you want to discover how to make awesome pan sauces at home, Serious Eats has you covered. And if you need more information about making stock at home, Michael Ruhlman shares his thoughts on stocks and broths as well as his easy chicken stock recipe. For all my Canadian readers, Cedarlane Culinary is carrying 4 of my cookbooks on their website. If you're interested in whipping siphons, Creamright.com sells packages with a whipping siphon and my book. Nomiku has a nice Passover-style salad that is tasty regardless of the season. 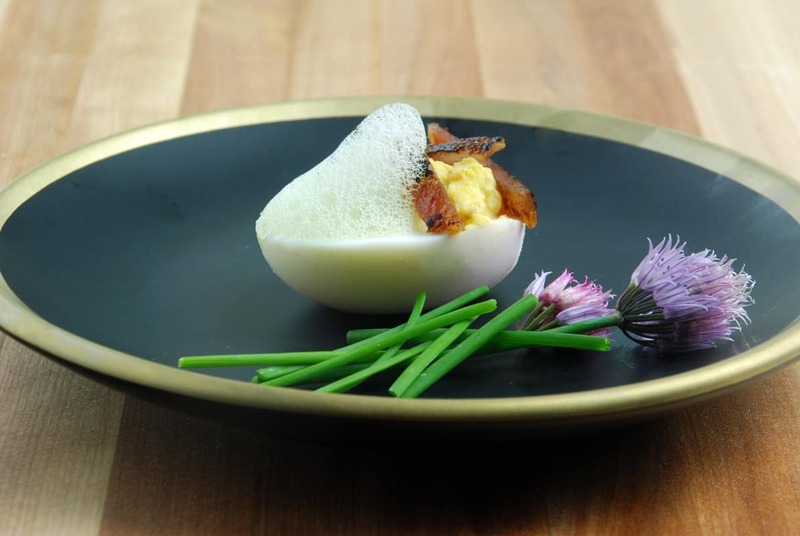 If you like deviled eggs, I have recipes for purple pickled beet and goat cheese eggs as well as deviled eggs with candied bacon and chive air. And what is brunch without smoked salmon? Roasted potatoes are a great side and SVKitchen uses a double cook to turn out tender, crispy potatoes and Franglais Kitchen explores a vegan chickpea and potato curry. FoodStarz has a bright and flavorful beet and pickled carrot salad and Simple Bites offers up colorful spring salad cups. Of course, if you love cauliflower, Ideas in Food explores using the complete cauliflower. Hip Pressure Cooking has a Moroccan lamb tajine and for something a little different, here is a sous vide caribou recipe with pineapple chutney, although you could substitute other meats more available in your area. 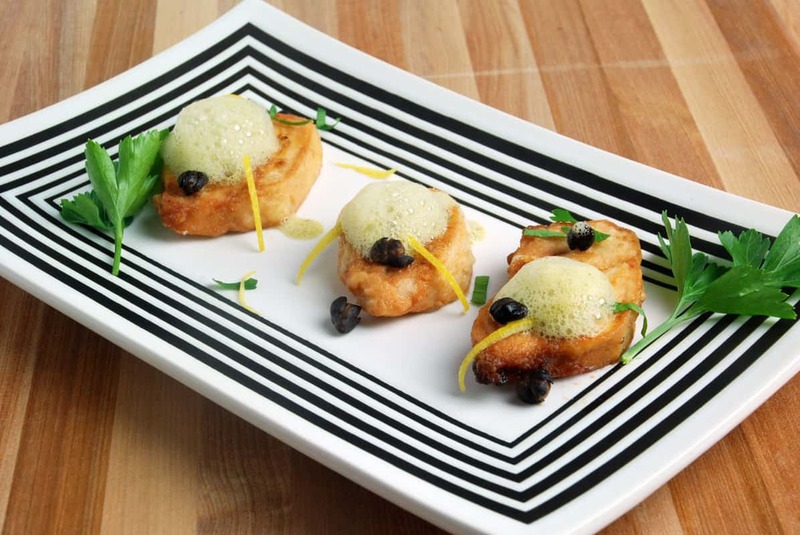 For an upscale take on classic dishes, here's my chicken piccata with lemon caper air and mussels with curry foam. If you love hot peppers, here's a look at how hot sauce consumption is changing the make up of jalapenos. Love wine? Here's a deep look at a wine tasting by Marilyn Krieger and Erica Parker of the NYWCA.